West Bar Veterinary Hospital Ltd (West Bar Vets) has invested in new imaging equipment with the help of Siemens Financial Services (SFS). West Bar Vets is a mixed practice veterinary hospital based in Banbury. Now a ten-vet practice with four consulting branches and providing 24hour care, West Bar Vets can trace its origins to the 1880s when it operated as a blacksmith’s shoeing forge. The practice wanted to replace its ageing ultrasound to improve clinical efficiency and image quality. As a relatively small business, West Bar Vets needed a solution that would protect its capital reserves while enabling the business to stay ahead of the technological curve. 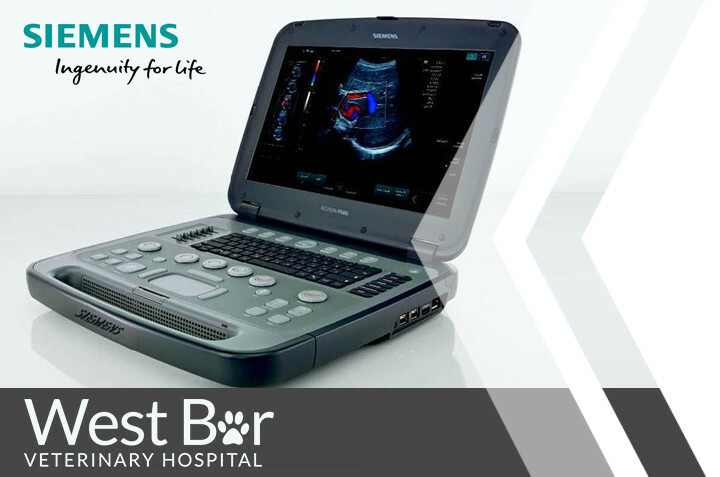 After looking at several competitors’ options and testing an upgrade to its current system, West Bar Vets worked with PLH Medical to acquire the Siemens Healthineers ACUSON P500 Ultrasound Solution. The system offers technological advantages to others on the market including increased processing speed and enhanced image quality with exclusive motion correction. Additionally, the ultrasound system is compact and portable and, once installed, it was easy for the practice to wirelessly link the system to its picture archiving and communication system (PACS). Siemens experience team of ultrasonographers were able to understand the practice’s needs and demonstrate the system’s capabilities in a live simulation. SFS tailored the finance solution to enable it to take advantage of an after sales service five year warranty to ensure peace of mind and a competitive rate. The process of arranging finance for the acquisition was easy and straightforward and the team ensured the arrangement was made in time for West Bar Vets to claim the VAT immediately after the transaction.